The United Way of Citrus County is committed to making real, lasting change in our community. We work with community partners, donors, local businesses and volunteers. Our work addresses the root cause of social need in our county. Our approach is to give a hand-up, not a hand-out. We study the broad and most pressing needs in Citrus County. Then we invest in other non-profits who best address these needs. Additionally, we leverage grant dollars to manage four internal programs that support our neighbors in need. Our investment in non-profit partners includes agencies. We support agencies committed to the three building blocks for a good life; education, income and health. 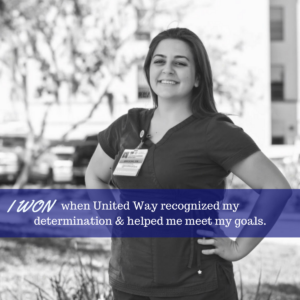 At United Way, we believe research showing these three keys sustain successful lives. Our four internal programs work to provide support and access to these building blocks. Our Rapid Rehousing program provides housing assistance to homeless individuals and families. 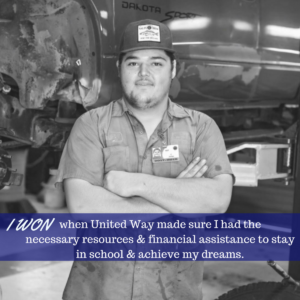 Our Prosperity Center program supports adults who are going back to school to earn a GED or professional certification. The Mission United program is dedicated to assisting local Veterans who are facing hard times. The United Way Reading Pals program ensures preschool and kindergarten students master reading fundamentals so that they will be reading on grade level. You can be a part of this great work by donating, advocating or volunteering. You can strengthen the success of our programs by helping us support our partners. Please visit our website at www.citrusunitedway.org to learn more. Follow us on social media here.